"Far beyond the shrinking skies. 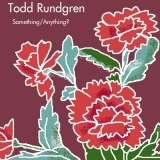 Where money talks and leaves us hypnotized"
Sorry, no matches on eBay for "One More Day (No Word) Todd Rundgren". Showing latest 5 ratings for this track. | Show all 28 ratings for this track.